Do you want to communicate with your own soul? Do you want to communicate with your spiritual guides and angels? Do you want to communicate directly with the Divine? You can! 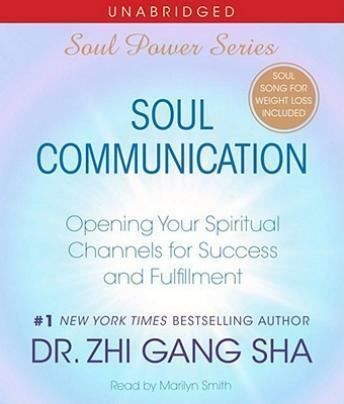 In Soul Communication, Dr. Zhi Gang Sha reveals secret Soul Power techniques to develop the four major spiritual communication channels: Soul Language, Direct Soul Communication, Third Eye, and Direct Knowing. While the soul's wisdom is profound, Dr. Sha also gives you remarkably simple and practical tools for applying it. Soul Communication empowers you to transform every aspect of your life, from health to relationships and finances. Receive guidance from the Divine, your spiritual guides, and your own soul. Empower yourself to fulfill your physical life and your spiritual life.